Current setup is a Jewel Rio 125 which has been going for over a year. Would 4 males be ok with my current stock? I don't intend to breed them. If you have a common plec, it will need rehoming as it will grow too big for your tank. Your rummy noses would show a lot more colour and schooling behaviour in larger numbers as they are a shoaling fish, happier in bigger schools. 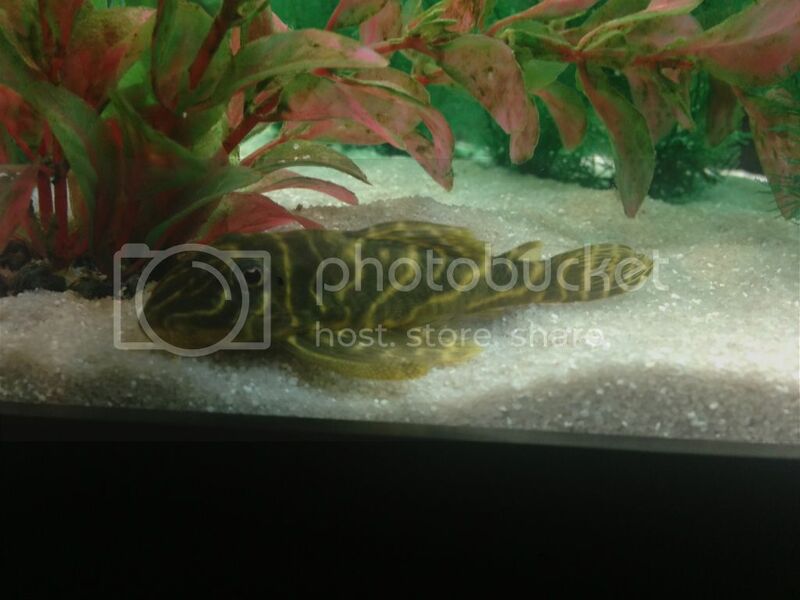 This is my plec, is it best to rehome him/her now or when he/she is larger? The rummy noses seem to hang out with the other tetras in the tank but I am considering a few more, bloodworm seems to bring out their colour, they all love it! I've read many things about killis not being a community fish and that they're purely for breeders hence the post. I think I'll stick to locally available fish, maybe some guppies and a fighter!? I don't know what sort it is (I am not knowledgeable on the various species available and you have some over there that we don't have here) but it is not a common so may stay a suitable size. As to the rummys etc. They show more colour in bigger groups and if you had a dark substrate. That one in the pic is so light the rummys will be staying pale to try and camouflage themselves against it. Some killies are suitable in peaceful communities but many are not so are kept in species only tanks. I think its a butterfly plec?